Whether you are interested in ensuring your children only access age-appropriate content online or you want to check on the productivity of your employees, internet monitoring software can be a remarkably powerful and useful solution. The program can often run secretly in the background, so they won't even know they're being watched. It is virtually impossible for parents to watch over their kids 24 hours a day, but they still want to keep their children safe on the internet. Monitoring software can keep a careful watch over their online activity, which may be even more important for teenagers in an age of cyberbullying and other possible concerns. Compatible with a broad range of devices, Qustodio offers a comprehensive suite of parental control tools to see, manage, and filter what children access on the internet. It works not only on Windows and Mac computers but also on Android, iOS, Kindle, and Nook devices. Parents can monitor how their children are using the web, set healthy limits accordingly, and protect them against such threats as cyber predators and inappropriate content. Named the best free parental control software by TechRadar, the free version of Qustodio only allows for a single device and includes basic protection. Premium plans, starting from about $5 a month, add extra features like location tracking and application controls and can protect a larger number of devices. 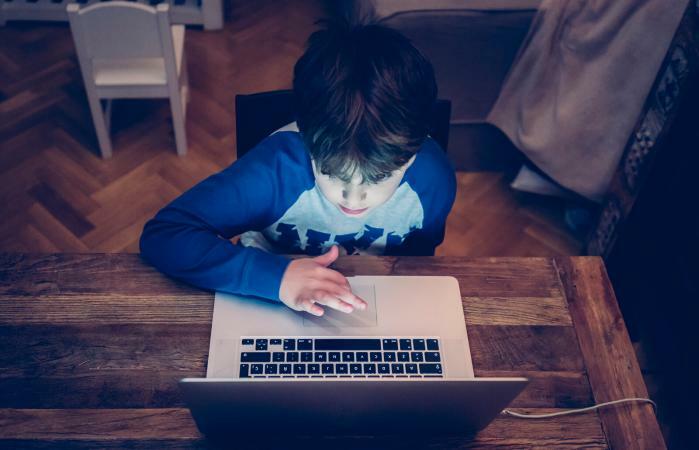 Coming from one of the most trusted names in antivirus protection, Norton Family Premier is geared more heavily toward protecting kids "from online predators, so they can enjoy their connected world safely." It works with Windows, Mac, Android, and iOS devices when paired with the appropriate software. Parents are informed of what sites their children are visiting, and they can set screen time limits. Detailed reports, including flagged unsafe behavior, empower parents to discuss online habits with their children. TopTenReviews speaks highly of Norton Family, citing its wealth of filter categories, ease of use, and advanced features. With a rating of 9.2 out of 10, Norton Family earns a Silver Award from TopTenReviews. The core subscription plan costs about $50 for the first year. The concerns of employers are different from those of parents, and this is reflected in internet monitoring solutions targeted at businesses. One of the most highly recommended solutions in this space is Teramind. It can record and log all employee activity with the ability to "play back a session like a video." This is not only about productivity or wasting time online but also about insider risk management to protect against potential threats. Everything from websites visited to e-mails sent can be monitored and recorded. Risk detection can be automated, and IT compliance is made much easier. Business.com names Teramind as its pick for the best employee monitoring software, particularly impressed by its multiple filtering and monitoring tools. The review also highlights the option to run the solution in the cloud or with on-site deployment. Pricing starts at $125 per month for up to five users in the cloud. For more modest needs at a more modest budget, ActivTrak can be a compelling package for employee monitoring. The free tier allows for up to 3 gigabytes of storage and monitoring of up to three users. With ActivTrak, the focus is on measuring and improving employee productivity. You get access to screenshots of what employees are doing, and the program can integrate with such tools as Slack, Basecamp, Quickbooks, and Trello. Earning an "excellent" rating and an Editors' Choice award from PC Mag, ActivTrak boasts an easy-to-use administrator interface, sensitive data redaction, and robust team behavior analytics. Beyond the free plan, monthly subscriptions start from $9. A free trial is available. Staying safe (and productive) on the internet extends far beyond simply protecting against malware, viruses and spyware. Parental control and employee monitoring apps help to ensure only safe and appropriate content is being accessed in a way that aligns with the rules of the home or office.